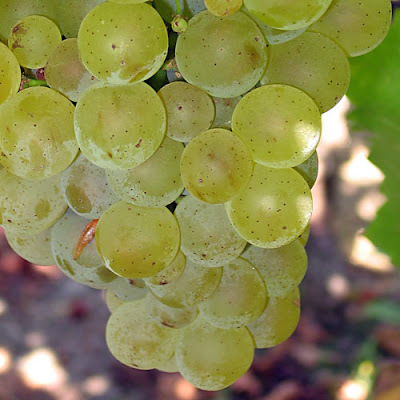 Its appellation is technically Bordeaux Blanc, but that’s just because there is no such thing as a St.-Emilion Blanc AOC. Which means that, despite all that this great Right Bank white has going for it, it has to carry that more humble label. But maybe that’s a good thing. After all, the surprise that comes with the first sip is amplified, it seems, by the lack of expectations it’s appellation sets up. No matter what you call it, this bottle of white, St.-Emilion born and bred—in fact, it’s produced from the only hectare of white vines in the appellation—is amazing. It’s a unique blend of Sauvignon Blanc, Sauvignon Gris, Semillon, and Muscadelle, and is produced by the Chateau Le Bon Pasteur team. The 2002 introduces itself with a nose of rich, concentrated fruit and an almost oxidative nuttiness that gives it a nice sense of lift. The palate is deep and weighty, but well-defined acid brings a linearity that it otherwise would miss. Flavors reminiscent of dandelion, warm hay, almond, and something a touch charred and smoky lead to a finish that hints at honey. This is a powerful, elegant, infinitely interesting and utterly wonderful wine. Too bad so little of it is produced. Tasted at Chateau Le Bon Pasteur this past May. Does the white wine taste like Chateau La Salle?